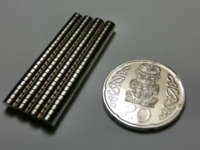 DangerousMagnets - C04015__Diam 4mm x 1.5mm. N45. Qty100 for sale! 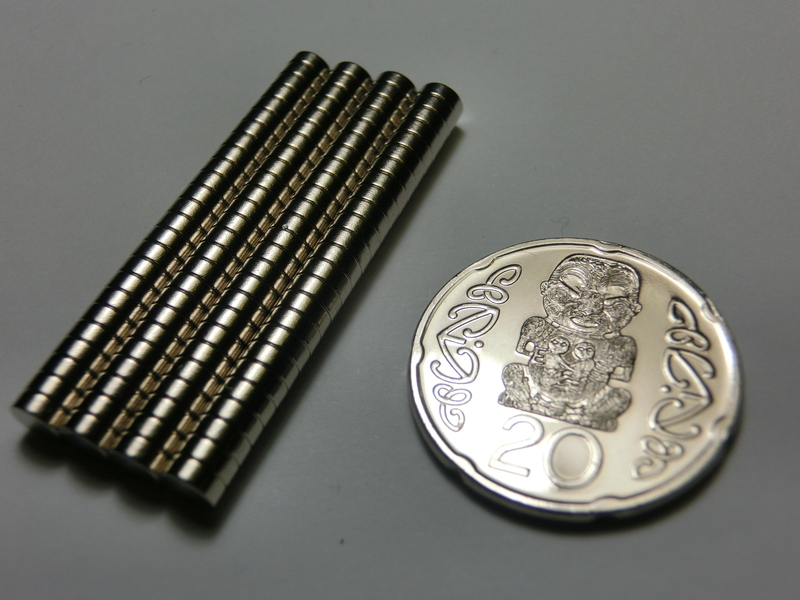 • 4mm diameter x 1.5mm thick. • Pull/Push: About 270 grams to another magnet or to 0.5mm sheet steel. Resistance to sliding is about 1/3 that. Stack 2 for almost twice the pull. • 4 hold a photo to a whiteboard. • Small latches and closures. • Displays of photos etc. • Fastenings for manufacturing photo displays.